Berwick Rangers got themselves back on a winning track when they beat Edinburgh City at Meadowbank. 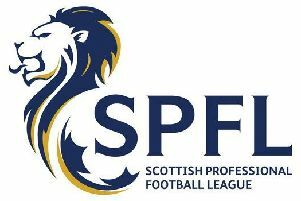 It was the first league game between the two sides, following the capital team’s promotion to the Scottish Second Division at the end of last season. The victory, achieved with two goals from striker Jordyn Sheerin, saw Rangers move up to fourth place in the table, while City remain rooted at the bottom, still searching for their first points at senior level. But Berwick did not have everything their own way, and they had to come from behind to take all three points after Ousman See gave the hosts a 65th minute lead. See produced a spectacular overhead bicycle kick to put the home side in front following a Dunsmore corner which was headed down to him. But Sheerin, who scored his first league goal for Rangers in the previous game against Forfar, netted twice in a four-minute spell to see the Borderers to safety. His first came from the penalty spot after 74 minutes when he sent goalkeeper Antell the wrong way after Stevie Notman was fouled. And he netted the winner after 78 minutes, when a Thomson corner was played into his path. Kevin Walker, but the Rangers’ stopper rushed from his line to deny him the opportunity. Late in the game Edinburgh headed into the side netting and Walker also had to make a save from Allum, but Rangers managed to hang on for the win. Earlier in the game, Rangers, who gave a debut to new striker Greg Hurst, had a first-minute penalty claim turned aside when Lavery went down in the box. Walker had to save well from Dunsmore, whilst Sheerin signalled his intentions with two efforts, but the score remained 0-0 at the break. Edinburgh: Antell, Caddow, Dunsmore, Mbu, Porteous, McKee, McFarland, Dunn, Allum, See, Cummings. Berwick: K. Walker, Hamilton, Martin, Wilson, Thomson, Notman, Stirling, Hirst, Lavery, Sheerin.